Since 1956, the Piedmonte winemaker Michele Chiarlo has made superior Barberas and high quality Barolos that today are consistently among the most renowned expressions of these wines. 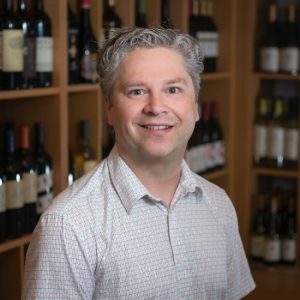 Over the years, Michele Chiarlo has realized a success and recognition brought by constant pursuit of quality.The winery is 100% family owned and operated, showcasing only local, single varietal expressions of terroir- no international grapes and no blends. The family specializes in 4 grapes that are considered to be the greatest native varietals of Piedmont: Nebbiolo, Barbera, Cortese and Moscato. 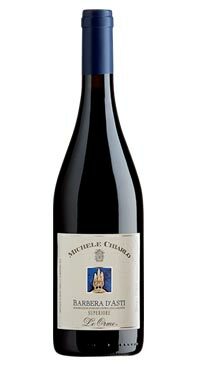 Michele Chiarlo sources grapes from strictly selected Barbera vineyards with excellent exposure to produce this superb, balanced wine. The choice vineyards are in the southern area of Asti province, especially the hills around Nizza Monferrato. Temperature controlled maceration and fermentation on the skins yields the dark, rich color that is typical of great Barberas. The wine is aged in large French oak casks before release. Ruby red with a violet tinge in the glass. The nose is elegant with light red berry fruit and cherry aromas that follow onto the palate. The ideal accompaniment to pasta dishes with tomato sauces and white meats. Not sure what your host is serving at a dinner party? Bring along this fragrant, versatile Barbera. Packed with cherry nibs flavours and a touch of earthiness, this wine is perfect for a variety of dishes; very dry, balanced acid and a touch of tannin.